For long forms, the save and finish later feature is a great way to ensure your customers have the option of saving their work and picking it up again at a later time. This feature can cut down on form abandonment and lead to higher completion rates. 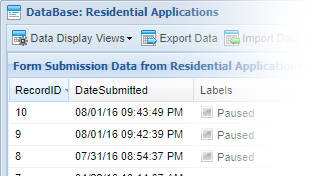 Use the partial record data option to record the paused submission in your submission bin and mark it as "paused". You'll be able to see at a glance which applications/submissions are paused or pending and follow up if necessary. Complete with a password reminder feature, the save and finish later option is a user-friendly way to allow your visitors to pause and resume their submission. You can add a save and finish later link to the bottom of each page of your multipage form to allow your visitors to save their progress at any point. And when they resume their submission it automatically starts on the page they left off on. 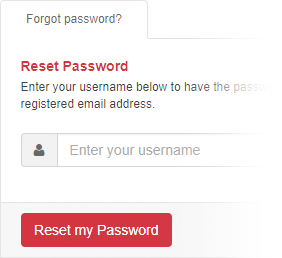 Using the Direct Link to Resume option your users don't even need to enter a username and password. A unique ID is provided to them that they can simply click to pick up where they left off. You can use an autoresponder email to deliver this "resume URL" to the user when they pause their submission.